In the first of a series of thought leadership pieces, Alison Parkinson, Fraud Business Development Director of National Business Crime Solution (NBCS), explains why the battle against the fraudsters needs to be intensified and how information sharing can help prevent more victims. Since human beings have owned property, fraud has existed. One of the earliest recorded instances stretches back to 300BC, when a Greek sea merchant named Hegestratos took out an insurance policy against his ship and its cargo of corn. For this type of policy a merchant borrowed money to the value of the ship and cargo and, if the ship arrived at its destination with its cargo intact, the loan was paid back with interest. However, if on safe delivery the loan was not repaid, the boat and its cargo were repossessed. Hegestratos planned to sink his empty ship, sell the corn and keep the loan but, caught in the act of sinking his ship by his own crew, he was chased off the vessel and drowned trying to escape. Since then many words to describe fraud have been created – swindle, cheat, extortion, con, double-cross, hoax, ploy, ruse and hoodwink are just a few of them. However, the word is perhaps best defined by Action Fraud, which claims it ‘is when trickery is used to gain a dishonest advantage, which is often financial, over another person’. With technology – especially the internet – having such a huge impact on all our lives, it should be no surprise that fraudsters have paid particular attention to it. Phishing is particularly popular and most of us at one time or another will have received an email claiming to be from someone posing as someone they’re not and soliciting us to send a specific amount of cash, which would supposedly allow the sender to access their savings account and reward the benefactor with more money than originally borrowed. However far-fetched these types of scams appear, people continue to fall for them and they’re becoming increasingly sophisticated. A woman named Kate Blakeley recently told the press how she lost £300,000 through such a scam. In the process of buying a house with her partner, fraudsters intercepted an email from their solicitors and got them to transfer the funds into an different bank account controlled by the criminals. This wasn’t an isolated case and figures published by UK Finance show that in the first six months of the year more than 19,000 people were targets of these scams – known as authorised push payment (APP) – involving a total amount of over £100m. While it’s easy to focus on this type of online deception, the fact is that there are well over 100 identifiable types of fraud. Tax fraud, romance fraud, employment fraud, car insurance fraud, benefit fraud, health scams, holiday fraud, investment fraud, ‘boiler room’ scams, intellectual property fraud, lottery fraud – the list goes on. To combat this growing problem, the Fraud Act 2006 came into force on the 15th January 2007 and replaced the eight deception offences contained within the Theft Act 1968 and 1978. It offers a statutory definition of this criminal offence, defining it in three classes – fraud by false representation, fraud by failing to disclose information, and fraud by abuse of position. It states that a person found guilty of fraud is liable to a fine or imprisonment for up to 12 months on summary conviction (six months in Northern Ireland), or a fine or imprisonment for up to 10 years on conviction on indictment. The key reason for the introduction of the Fraud Act 2006 was the history of complexity and uncertainty concerning offences involving. Although it has provided a certain degree of clarity, some have criticised it for moving towards the concept of dishonesty, which is problematic in itself, as fraud has become a ‘conduct’ crime rather than a ‘results’ crime. Although, in theory, there are measures in place to protect victims of fraud, there are growing calls for more to be done in order to iron out the discrepancies in how these matters are dealt with. For instance, if a credit or debit cards are used victims can usually get their money back. However, when it comes to bank transfers the matter is not so clear-cut. Which? is lobbying for the big banks to do more in this area, particularly since consumers now make over 70 million bank transfers a month, compared to just over 100 million in a whole year a decade ago. Even though online fraud is now the most common crime in the country, the response to prosecuting cybercrime incidents can be described as disappointing at best and we simply don’t have accurate figures to asses the true scale of the problem. There are two main sources used in the official statistics on fraud – police recorded crime and the Crime Survey for England and Wales (CSEW). Figures on fraud have long been included in police recorded crime data, but until fairly recently fraud was not covered in the headline estimates from the CSEW. Most fraud offences do not come to the attention of the police and, as a result, police recorded crime data gives a very sketchy picture of the extent of fraud. The National Audit Office (NAO) has tried to paint a more accurate picture and it supports the findings of The Annual Fraud Indicator 2016, which was overseen by the UK Fraud Costs Measurement Committee (UKFCMC) and based on research by University of Portsmouth’s Centre for Counter Fraud Studies. It found that the real annual cost of fraud in the UK could be as high as £193bn, including £10bn to individuals and £144bn to the private sector. The NAO’s own Online Fraud report claims that there were an estimated 1.9m cyber-related fraud incidents in England and Wales in the year to 30th September 2016, representing 16 per cent of all estimated crime incidents. In four out of 10 online fraud incidents, victims lost at least £250. 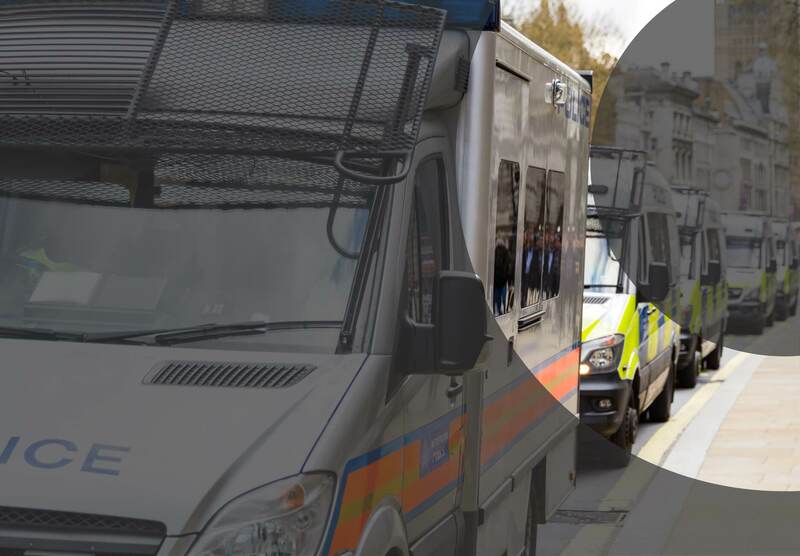 Despite this, the NAO has stated that because it is considered a low value but high volume crime, fraud is not yet a priority for all local police forces and is consistently overlooked by government, law enforcement and industry. It also added that that Home Office is the only organisation that is in a position to oversee the system and lead change. With criminals using ever more complex scams to trick customers into giving away their personal or security data, there have been a number of initiatives over the last few years designed to make consumers and business people more aware of the issue. The most recent of these is Take Five to Stop Fraud. Developed by the financial sector in partnership with the Home Office, it aims to offer straightforward and impartial advice to help everyone protect themselves from preventable fraud. It is a national campaign that offers advice to help customers protect themselves from fraud by recognising scams and confidently challenging any requests for their personal or financial information. While obviously well intentioned, more direct measures could also be taken through the sharing of crime data between law enforcement agencies and the business community. Take online fraud, for example. This type of crime is increasingly prevalent as unscrupulous individuals take advantage of the loopholes inherent within online purchasing. Retailers are increasingly reporting instances of customers claiming not to have received goods, while some individuals are falsely stating that packages have not been packed correctly and ordered items are missing. Software is now available that offers insight into persistent offenders who commit fraud against multiple online businesses, helping companies develop a more effective loss prevention strategy. By using a pattern matching sequence and utilising known data on those committing fraud helps build resilience against repeat offenders, it can contribute to any police investigations. The result is a more robust online fraud prevention strategy, which clearly identifies current trends and hotspots, and helps reduce losses from this type of activity. The subject of fraud prevention is particularly relevant during the Christmas season, as businesses and consumers traditionally become the targets of such nefarious activity at this time. However, staying vigilant against the fraudsters is an all year round activity and we must all play our part in helping to defeat it.